The Ebonite Turbo/R was designed to offer length down the lane with a controlled backend reaction on light to medium oil. The Turbo/R core is surrounded by a GB 10.7 coverstock which is finished with a 2000 Grit Abralon Sanding Pad finish and polished with Powerhouse Factory Finish Ball Polish. 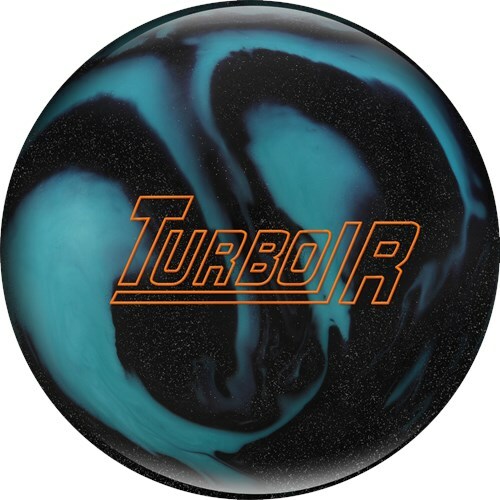 Coming in multiple colors, speed past your competitors with the Ebonite Turbo/R! Yes, this would be perfect for that. Is this ball made of plastic? It is made out of reactive resin. 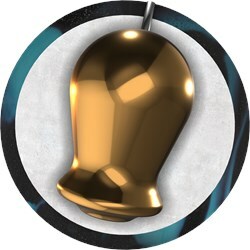 You can use any of the bowling ball cleaners that we offer online to clean your ball. This ball will go pretty straight if you throw it straight. However, this ball has additional features to help give this ball hook potential if you wanted to hook the ball. You could go with a lower priced ball if you know you are only going to throw this straight or you could use this ball to see if you may like to hook the ball for a little more angle into the pocket. Due to the time it takes to produce the Ebonite Turbo/R Black Sparkle/Aqua ball it will ship in immediately. We cannot ship this ball outside the United States.